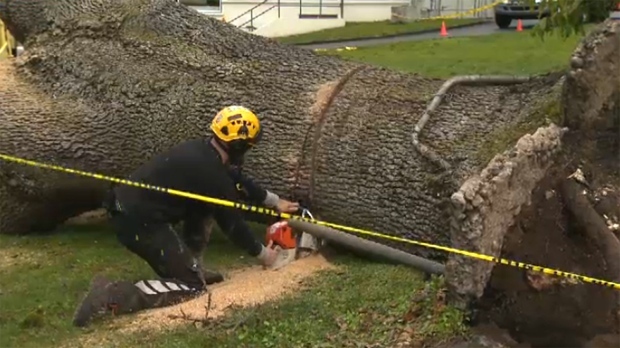 Strong gusts brought down a more than 200-year-old oak tree at a Victoria middle school Wednesday night. The massive tree fell across an empty parking lot at Central Middle School that is usually filled with cars, as winds gusting up to 90 kilometres an hour swept across much of Vancouver Island. The school's principal said there were already plans to remove the tree because its roots were encroaching on pavement and rotting. "We understand it's over 200 years old, so this morning on our announcements we were telling our students that it's older than Canada, and the only people that knew it before that were our Aboriginal friends who had been living here all that time" said principal Christopher Macintosh. Crews were at Central Middle School to cut up the tree Thursday morning. 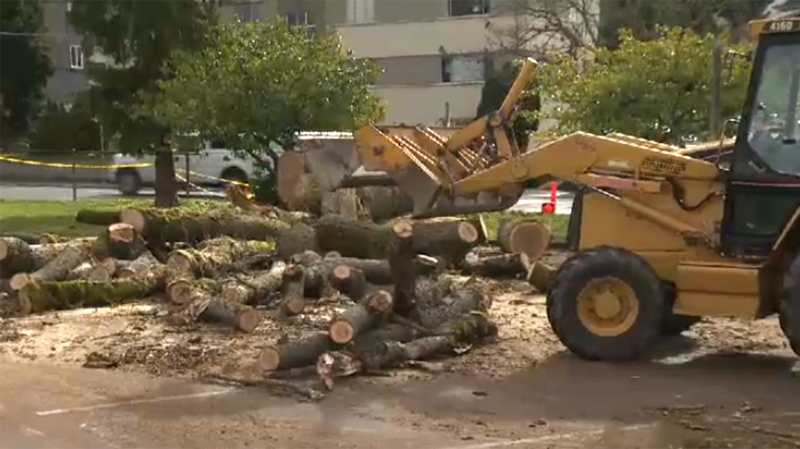 The Greater Victoria School District said it will make the wood available to schools for nature-themed play spaces.